Popular amongst tennis players of all age and rank, the western grip has evolved into one of the most commonly used grips in the game. Ideal for hitting hard baseline rallies and moving the momentum of the game, the western grip has many great features. 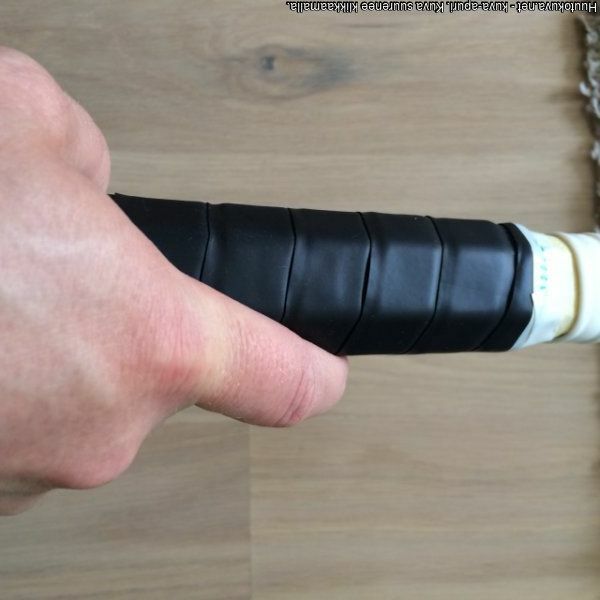 Let us learn more about the western grip and what it contributes to a game of tennis. About 100 years ago, the continental grip was the main grip used by just about all tennis players. This is when the game was somewhat slower and didn’t need as much ferocity. As the game evolved, more extreme angles were needed so the western grip was developed. It allowed tennis angles and shots to become more in depth and competitive, generating unprecedented amounts of topspin along the way. The western grip tends to go against how natural instinct says to hold a tennis racket. The palm side of the index fingers should sit at the base of the racket octagon. This can be uncomfortable at first, but over time it will develop and feel more natural for players the semi-western grip is slightly less extreme and less angled, so more players stick with that one. The western grip really comes into play form the baseline. It generates a lot of power and topspin to return long shots with greater force. The more topspin a ball has, the more it will jump and be inconsistent in the opponent’s landing zone, keeping them on their toes and guessing what will come next. Although a great angle for the maximum amount of topspin, the western grip is far from perfect. There are many issues that people have with the angle and therefore tend to leave it alone. The main thing is that switching from a continental to a western grip and vice versa can be really challenging. This means that a lot of volleys and overhead shots aren’t met with the greatest momentum. Another issue that arises on the court is when ball drops at an extremely low angle. The western grip doesn’t allow a player to get low and return these type of balls, whereas other grips can make this possible. For force, topspin, and aggressive returns, the western grip is excellent. However, it can be more daring and might come at the cost of other easier backhands and volleys.